Visibility is a program of Complexity Talk Radio,Inc. Because your voices are important and must be heard! It is paramount that girls, pre-teens and teens of color with physical differences and disabilities are embraced psychologically, emotionally, physically and socially with a focus on their well-being and growth. 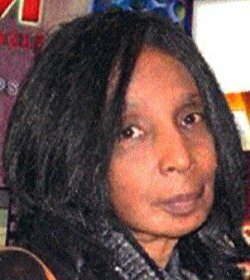 Ms. Brenda Scott-Coleman is a retired international trade specialist and the designer of CHANGE-A-LETS, a unique earring for women who cannot wear traditional earrings. 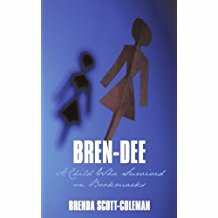 She is also the author of Bren-Dee: A Child Who Survived On Bookmarks, a story about the challenges she faced as a child with facial differences and how she fought that adversity. 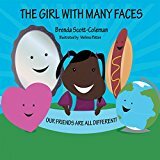 Her latest book The Girl With Many Faces was written for children who have difficulty making friends. Her most important goal in life now is to reach out o children with differences, praying that her stories will be an inspiration to them. She also hopes that her stories will teach children that we are all difference in our own way. Reblogged this on I Am Beautiful Global, Inc..